While research shows that about 60% of seniors recovering from smoke have difficulty talking, studies have also shown that speech therapy can restore their language skills after a stroke. Other mental and physical disabilities (such as Alzheimer’s), have also been known to affect one’s speech abilities. It improves your ability to speak: Speech therapy is designed to facilitate and improve the ability to verbally communicate. Although remembering how to pronounce words can be a difficult task, employing the services of a speech-language pathologist will build the confidence needed to improve language skills. It improves your ability to swallow food: Speech therapy can also help seniors with their swallow reflexes and increase comfort during meals. By doing this, it also reduces the risk of choking. It improves your overall quality of life: Because communication is an integral part of life, being able to have your ability to speak restored through speech therapy can greatly improve your quality of life. It stands as a stepping stone to a more comfortable and enjoyable life. Strengthens weakened vocal cords: As we age, vocal cords are more likely to become less elastic and as a result, the larynx muscles weaken. This makes communication more difficult. Speech therapy is designed to provide vocal exercises that strengthen vocal cords and ultimately help individuals learn how to speak again. 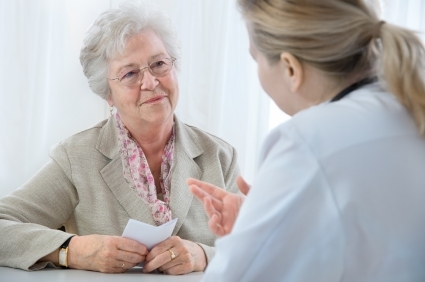 Helps patients with memory loss: Speech therapy is also beneficial to seniors who have problems with memory loss. It does this by preserving the function of the brain that is associated with communication. Speech therapy also addresses the cognitive aspects of problem solving, attention, communication, and memory. Helps stroke victims: Speech therapy is in most cases, immediately recommended to individuals after they suffer a stroke. Aphasia is a communication disorder that affects an individual’s ability to speak after a stroke. Research has shown that one out of every four stroke survivors will experience aphasia. It is very important to begin speech therapy after experiencing a stroke because it increases the chances of recovering one’s ability to speak again. Click HERE to learn more about RPI Therapy Service’s speech therapy program.